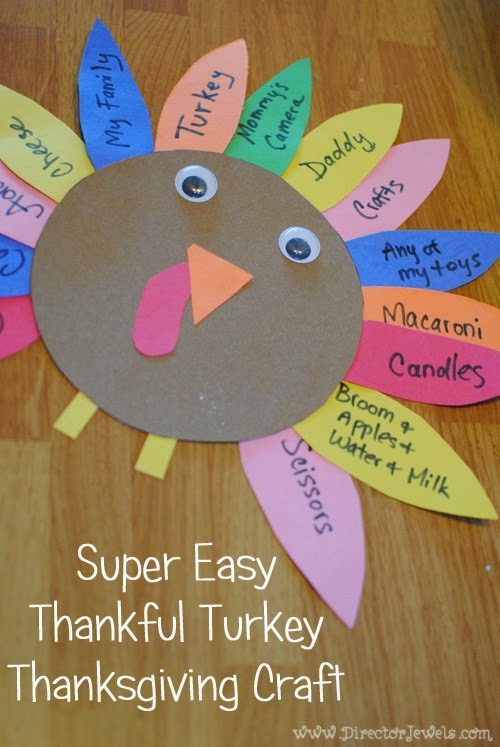 Heads up: this post does not contain any sort of detailed, in-depth instructions on how to create the most majestic Thanksgiving craft you can imagine. It is a pretty simple process, and I am sharing it with the sole hope that some mom out there feels the way I do: that holidays sneak up on us and we never get enough (or any) craft projects prepped, much less created, with our kids. Since the beginning of fall, the only project I actually remember making with my kids is our Falling Leaves Autumn Tree...and that was weeks ago! Sigh! 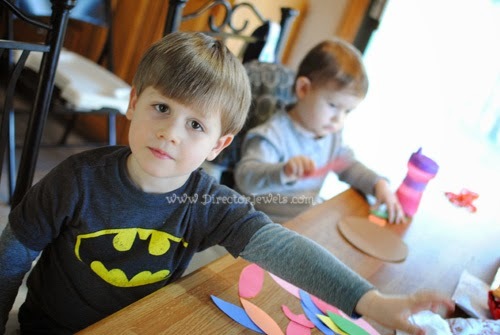 This one's so easy you can do it in your sleep - yet still fun for kids because they get to use a glue stick! See? Win-win. I told Lincoln that we were going to make Thankful Turkeys and he was very excited. In fact, he was so excited that he wanted to get started right away and not wait for me to do any prep work. So he watched as I hastily drew circles on brown construction paper and cut them out, then free-hand cut the nose, feathers, and legs. He's not super proficient with glue yet, so I helped him figure out where to attach the feathers and legs. As we added each feather, I asked him what he was thankful for. The first thing he said was "my family" - cue the awwwws. After that, it got a little bit random with things like cheese, his sippy cup, a broom, and my camera. But the point is, he's learning what it means to be thankful and that's awesome! Addie made a turkey too, but she said she wasn't thankful for anything and wanted to get down after helping to glue three feathers. You can't win them all, folks. This turkey project took about twenty minutes from the time I thought of it until completion. 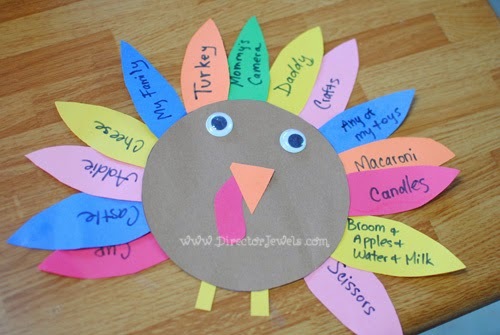 So, moms....here's your easy craft project for the week of Thanksgiving! Enjoy!